Can’t come to the show but want to make a donation to the orchestra? 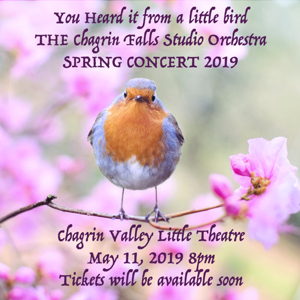 Or: Send your name, address, email address and phone number along with a check to The Chagrin Falls Studio Orchestra, 16509 Valley Rd., Chagrin Falls, Ohio 44023. The CFSO is a 501(c)(3) organization.